Nappy Roots is an American alternative Southern rap quartet that originated in Bowling Green, Kentucky in 1995, and is best known for their hit singles "Po' Folks", "Awnaw", "Roun' The Globe" and "Good Day". They were the best selling hip hop group of 2002. The group consists of Milledgeville, Georgia native Fish Scales and Kentucky natives Skinny DeVille, B. Stille and Ron Clutch. In 2006, Oakland, California native R. Prophet left the group, and in 2012 Kentucky native Big V aka Vito Banga also left. Both former members are pursuing solo careers. Nappy Roots' debut independent album Country Fried Cess was released in 1998, which led to the group being signed by Atlantic Records. Their first album on Atlantic Records was 2002's best selling hip-hop album, "Watermelon, Chicken & Gritz". The multi-platinum album featured the hit-singles "Headz Up", "Awnaw", and "Po' Folks". The "Awnaw (Remix)" featuring Marcos of P.O.D. appeared on Madden 2003. In their home state, Paul E. Patton the governor of Kentucky, sanctioned September 16 as "Nappy Roots Day". Their next and last album with Atlantic Records was Wooden Leather, released in 2003, featuring the singles "Roun' the Globe" which was featured on Madden 2004 and "Sick and Tired" (featuring Anthony Hamilton). This critically acclaimed, major label follow up album, "Wooden Leather" featured production from Kanye West, David Banner and Lil Jon. Also in 2003 they were on the movie soundtrack to Daredevil (starring Ben Affleck) with the song "Right Now" that featured Marcos Curiel of P.O.D. and released on Windup Records. In 2004 they were also featured on three songs for the movie soundtrack to The Ladykillers starring Tom Hanks that was released on Sony Music. 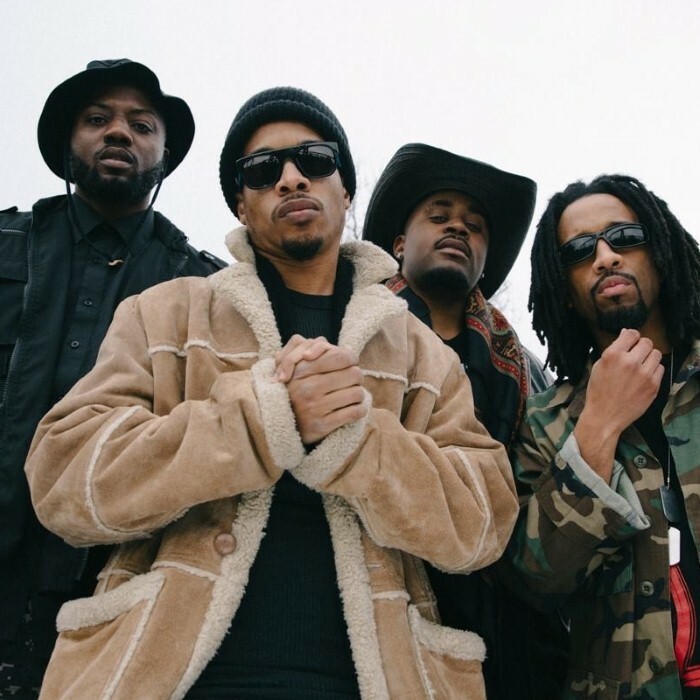 Since the release of Wooden Leather they are back to being independent artists, and have started their own label, N.R.E.G (Nappy Roots Entertainment Group) with distribution through Fontana/Universal Music Group. On July 31, 2007, they released their first album as independent artists, Innerstate Music featuring singles "Good Day" and "Keep It Real". This was actually an internet album, similar to a modern day mixtape. It was intended to be a precursor to their 2008 album, The Humdinger which was released on August 5, 2008. The critically acclaimed album, The Humdinger features guest appearances from Anthony Hamilton, Greg Nice, Greg Street and Slick & Rose, with production from Sol Messiah, James "Groove" Chambers, BIG AL 360, Joe Hop and more. The Humdinger entered the Billboard Rap Charts at #7 and R&B/Hip-Hop Albums at #13. In 2009 the single "We're Gonna Make it" by Skinny and Scales was released through Nappy Roots Entertainment Group. Nappy Roots kicked off 2010 with their highly anticipated new album, "The Pursuit of Nappyness", released June 15, 2010. The album features songs by a production duo from Atlanta, GA by the name of Phivestarr Productions. In 2011, Nappy has teamed up with hip hop producers Organized Noize to create "Nappy Dot Org". The first single "Congratulations" made its way into cyberspace on July 13, 2011 by way of XXL Magazine and 2DopeBoyz. On October 11, 2011 Nappy Roots released their new album "Nappy Dot Org" that was entirely produced by Organized Noize. The "Nappy Roots Presents Sh!ts Beautiful" album/mixtape that was released on June 27, 2012 through AllHipHop.